Join us February 16 to DRUM FOR THE FUN OF IT! 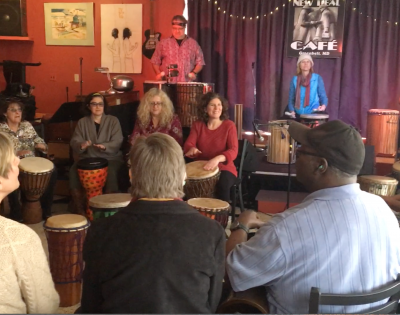 The New Deal Cafe is the perfect venue for a drum circle as it supports home grown community music! Craft beer, wines and a delicious vegan menu are all must tries after drumming together!